So technically I am living in Virginia Beach, Virginia... but this challenge really left a lot of options open for me (lucky me!). c) We're located so close to North Carolina, we might as well be in North Carolina. I went with option c, but not really for the locality. I love the lighthouses that are in the area. 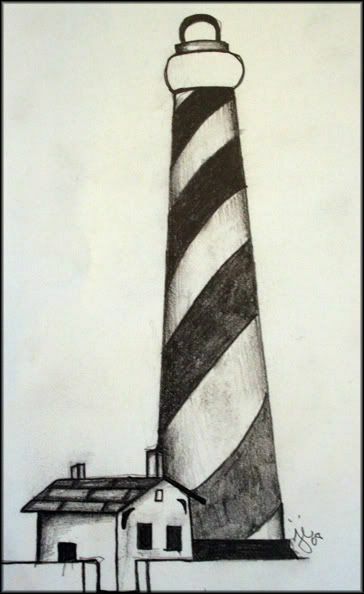 There are some right in the city here, but the one I find my self most attracted to is the Cape Hatteras, NC lighthouse. 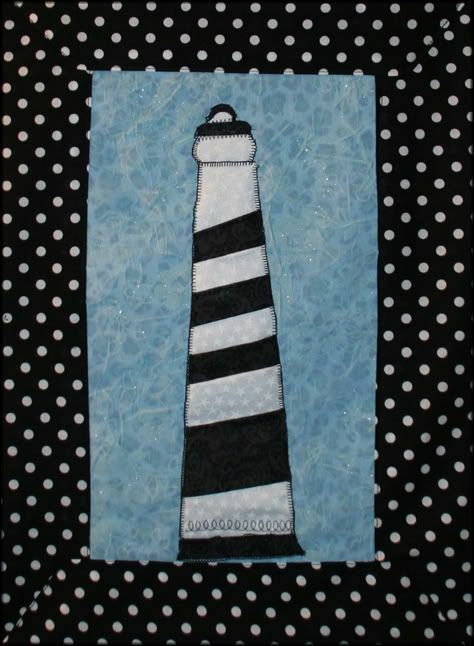 It's a black and white striped lighthouse that actually had to be moved a few years ago because of beach erosion. It was successfully moved and protected from the beach it had been on since the late 1800's! The lighthouse was actually built in Virginia and brought to North Carolina in the 1800's, so again it does tie the history of both states together. If you want to read more about the history of this beautiful piece of art please visit this website! And now onto my entry! 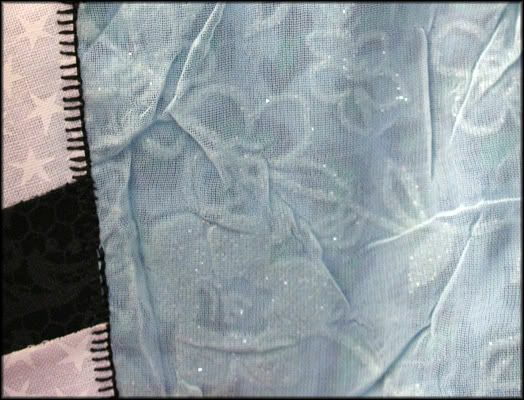 I have to say I love the way it came out... this is one of the few times my project came out exactly how I pictured it! Now I just need to get a hang of the speed of my new machine and I'll be set! I'd love to hear what everyone thinks! It's so pretty! I love the blend of classic and modern style! Great job! Dude, I saw this on a teeny pic on the front page and thought "hey, the Cape Hatteras light!" So, great representation. I'm from Va Beach too, so I'll back you up on the "we're pratically the Outer Banks" thing. Nice work! And Im glad you could identify it from the thumbnail! lol!! Me and my family visited Cape Hatteras last summer, now I miss it like crazy. This just put a HUGE smile on my face, thank you. Excellent! I love Cape Hatteras and all the Outer Banks. Spent many, many vacations there, and hope to spend many more. I'm from VB too! Wow, your stuff is great! Hatteras sounds good right now, I miss home.. I love all your art.. I'm going to check out your etsy page! Keep it up!! !